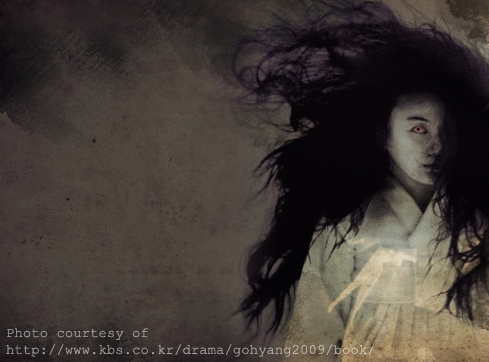 In celebration of Halloween tomorrow, we decided to share five creepy Korean urban legends. Make sure to have your lights on because a few of these will make your skin crawl. For some reason, bathrooms are often backdrops to terror in horror movies. 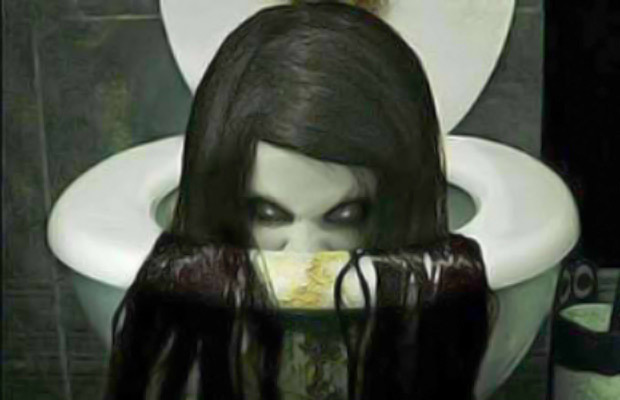 There is one common legend in Korea about a ghost that lives inside toilets, more commonly squat toilets. The ghost is said to emerge by sticking its hand out of the bowl while you are squatting and ask you to choose between two toilet papers: red or blue. If you choose red, the ghost will cut you open and leave your body in a pool of blood. If you choose blue, the ghost will suffocate you, leaving your body blue. Apparently, if you try to escape, the bathroom door will lock by itself and you will be forced to choose between the two terrible death sentences. This particular urban legend gained popularity last year after a screenshot of a Kakao Talk conversation circulated around the Web. Numerous websites and social media platforms began spreading a rumor about phony cab drivers sedating unsuspecting passengers, taking their kidney and dumping their bodies in abandoned fields. In other variations of this story, the passengers are drugged with anesthetic hidden in the taxis’ door handles. According to Korean media outlet CNBC, the rumor originated in Gwangju, and the city’s police investigated taxi companies, only to find nothing. Located north of Seoul, there is a strip of highway that bridges Goyang to Paju called Jayuro, which is notorious for its frequent fogs that cause numerous car accidents every year. However, some locals believe there is a supernatural cause behind the accidents. Many drivers have claimed seeing a young woman, who at first appears to be wearing sunglasses, on the side of the highway at night. It’s only on closer inspection that the drivers realize that she isn’t wearing sunglasses at all. Instead, her eyes are gouged out and hollow. Beauty is something that almost everyone in society strives for, but this old legend tells the story of a girl obsessed with it. One day, the girl learns from a friend that soaking oneself in bath water mixed with sesame seeds is good for one’s skin and can prevent wrinkles. Excited, the girl runs home and tries this beauty recipe immediately. A few hours pass, but she doesn’t emerge from the bathroom. Curious, the girl’s mother knocks on the door. “Just a minute!” the girl replies, but the door remains shut. Exasperated, the mother then forces open the door and sees something frightening: her daughter frantically picking out sesame skins that lodged themselves into her pores with a tooth pick. This modern legend tells the story of a murderer who waits for victims by elevators. It goes something like this: You decide to ride an elevator going up. Just as the doors are about to close, a man will board the car with you. He’ll wait for you to push the button of your floor number before he selects the floor right below yours. When the elevator reaches his floor, the man will take one step off the car. As the doors begin to close, he’ll turn around and whip out a knife. He’ll give you a sinister grin and say, “See you on the next floor.” You’ll then see him dash up the stairs before the doors close, sealing your fate. When the doors open on the next floor, you’ll find him waiting for you, ready to slash you. This entry was posted in Facts about South Korea, Interesting by admin. Bookmark the permalink.